We knew they were coming one day; we had just never imagined anything like…this. Joanna Marks always had a knack for terrible timing. After all, she did get pregnant and run off at 16. With her husband recently deceased, she and her child head back home ten years later… just in time for the invasion. Sheriff Wayne can never share how he’d known about the Chinese forces before they stormed his beloved little Florida town. The locals would think he was crazy. However, when their harmless city is put under military lockdown, he’s not the only one who finds the whole invasion suspicious. 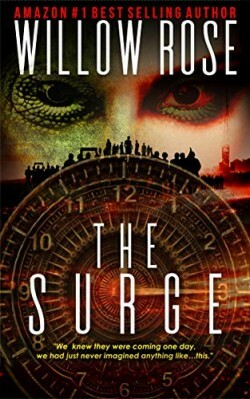 The Surge is a post-apocalyptic thriller novel with a dash of horror. If you like shocking twists, gritty characters, and pulse-pounding suspense, then you’ll love Willow Rose’s spine-tingling story.